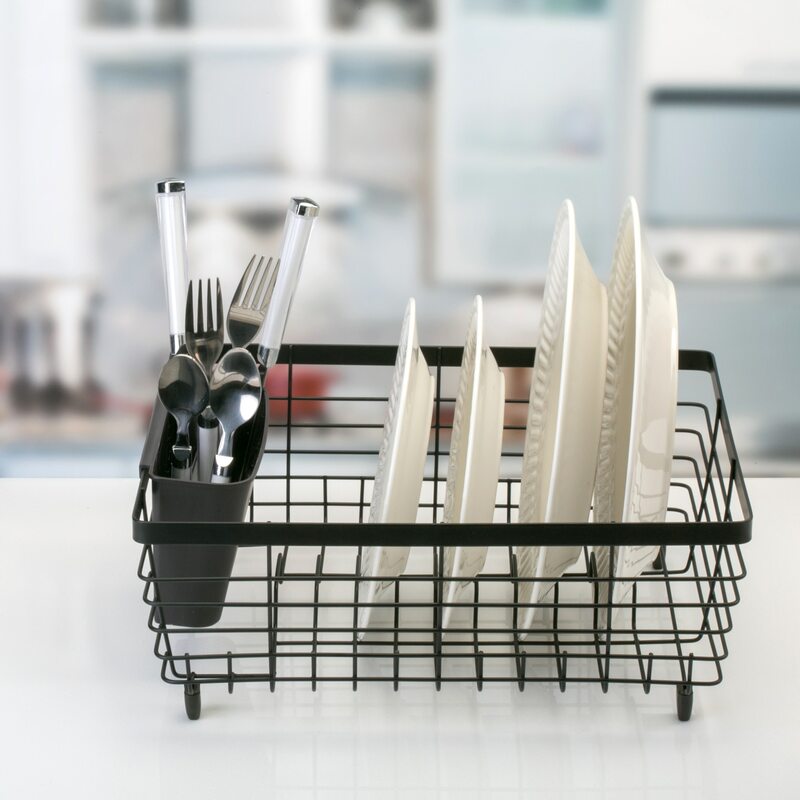 This Countertop Kitchen Dish Rack makes a great compact kitchen accessory. Keep it handy near the sink or in the sink for a no-mess dish-drying solution. It features a cup to keep your utensils dry without spilling on to the counter. 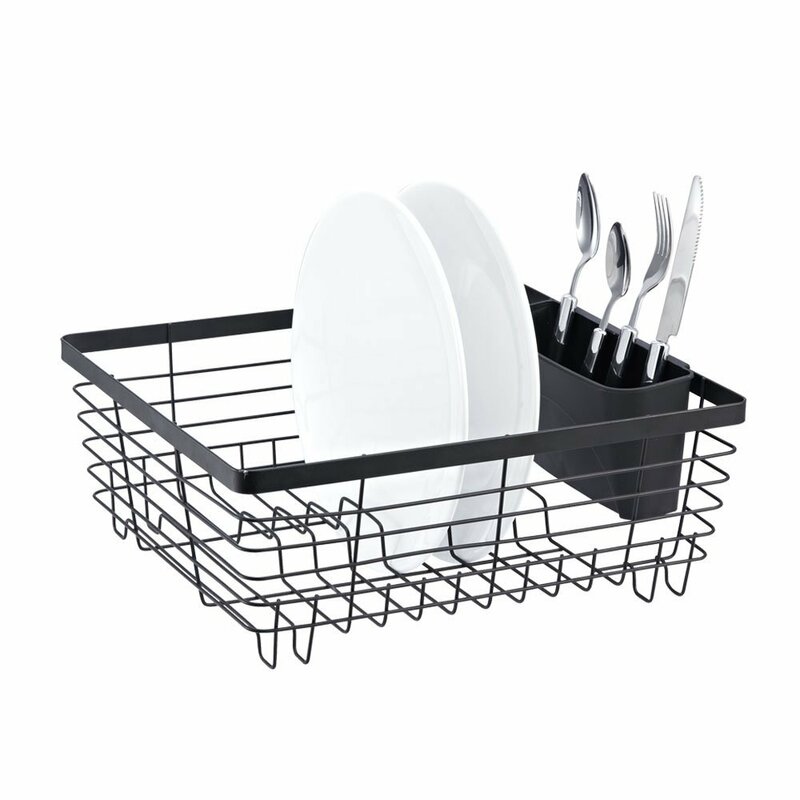 Small Dish Drying Rack is also handy as a camping or rv dish rack. Small Dish Drainer for Kitchen Counter holds up to 10 dishes with room for flatware. Black Flat Wire Powder-Coated Metal construction resists moisture and rust. Versatile Kitchen In Sink Dish Drying Rack measures 14 x 12 x 5.5 inches. Metal Dish Drainer comes with matching black removable plastic silverware holder. The Stylish modern streamline design makes a classy kitchen storage solution.